Singapore, 2018 – The amazing members of popular boy group, Monsta X was in Singapore on 3rd March for the HSBC Women’s World Championship Monsta X Special Show 2018. 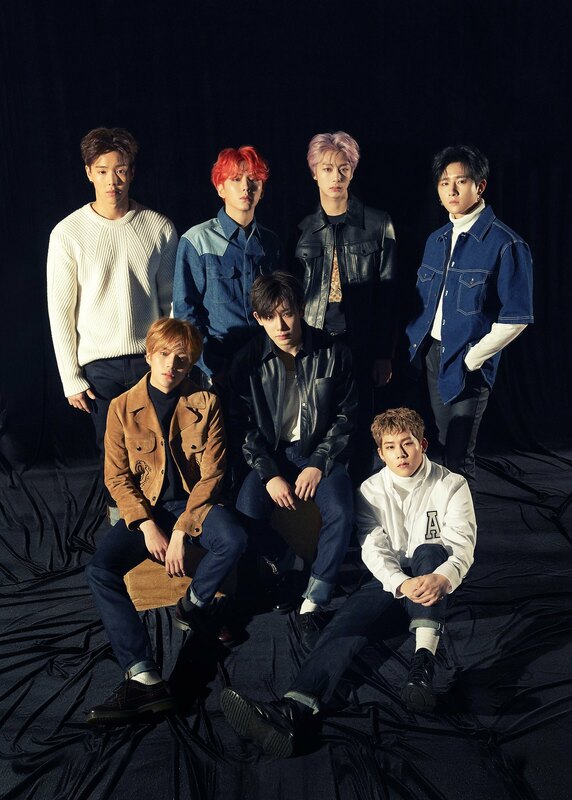 The group is composed of seven members: Jooheon, Shownu, Kihyun, Hyungwon, Wonho, Minhyuk, and I.M. The show, which was held at The Coliseum Hard Rock Hotel Singapore, was filled with dedicated fans of all ages. 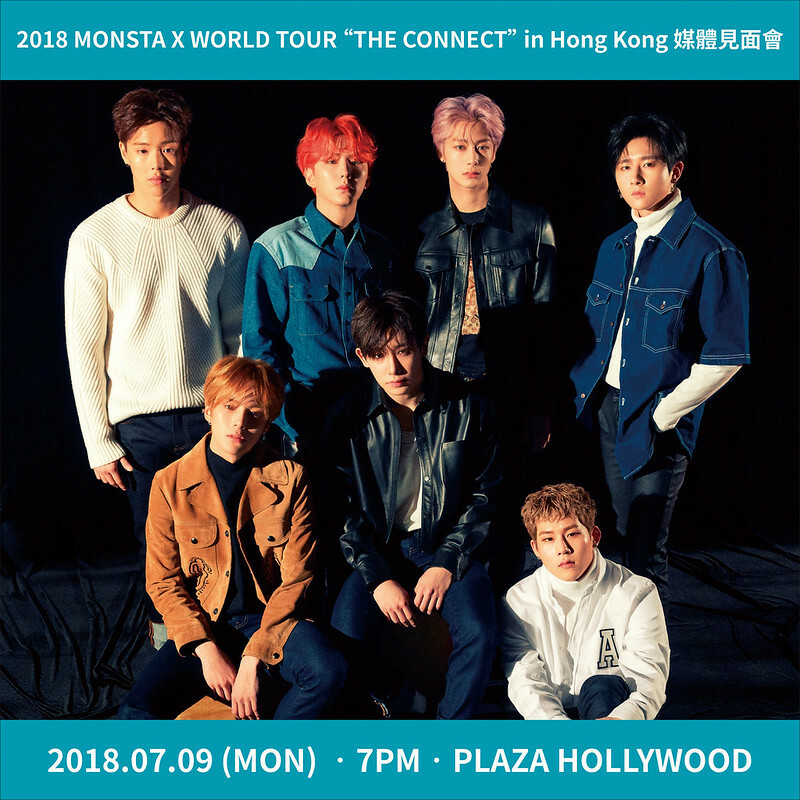 Since this is their first time to perform in Singapore, Monsta X prepared something special just for the fans – past photos of the members throughout their time as Monsta X. They reminisce and talk about all the past memories as well as the good times, all thanks to their fans – Monbebe. Monsta X performed several songs that include “Beautiful”, “From Zero” and “White Candy”. They showed cool dance moves and perfect vocals. During their “White Candy” performance, they even threw candies to the crowd. This had fans all excited and jumpy as they try their best to catch some candies. Those that managed to catch some sure are lucky! The show consists of many different activities for fan interactions. There was even a segment for the Monsta X members to showcase their drawing skills. All members are tasked to draw what they would eat with Monbebes, within one minute. The competition was close, but in the end, the fans chose I.M as the winner due to his hilarious answer and drawing – water. Or maybe the fans just wanted to see I.M doing aegyo as part of his reward! The boys gave amazing fan service to their lovely fans as they try hard to make sure the fans feel loved. During the show, a lucky fan even got a chance to get serenaded by I.M. He sang her favorite Monsta X song, but faced the screen as he was too embarrassed. All the fans began swooning at his amazing vocals and adorable antics. Much to the surprise of Monsta X, there was even a special segment made by the fans just for Monsta X! They had a fan video screening and prepared a special ramyeon cake for the birthday boy, Wonho. All the fans and the members sang a birthday song and celebrated Wonho’s birthday together. I am sure it is a birthday he will never forget since he gets to celebrate it with his fans in Singapore. Concerts must always come to an end as the boys began to hint that they have only a few more songs left. This definitely dampens the mood of the fans but the boys’ continuous energy does not leave the fans sad for long. They continue to perform their very best even till the last song. They even sang a beautiful acapella version of “Dramarama”. As the show draws to an end, the members share their inner thoughts and appreciation for the fans. “You guys won’t be tired if we come often right? We will come here more often!”, Minhyuk exclaimed. Kihyun even shouted in English, “I have to see you guys again in Singapore soon!”. “We had a great time because you guys cheer for us despite the hot weather. You guys were waiting even though it was raining. I am very touched!”, Hyunwon added. All the members relay their gratitude and appreciation to all the fans present. I am sure that the whole concert experience was a dream come true for most of the fans, seeing their idols for the first time. Monsta X definitely does not disappoint as they show amazing stages as well as fun interactions with the fans present. Let’s hope that the members of Monsta X keep their word and will come to Singapore again! Meanwhile, let us all wait for their comeback which will be happening soon! Click here for more photos of Monsta X at the HSBC Special Show 2018! 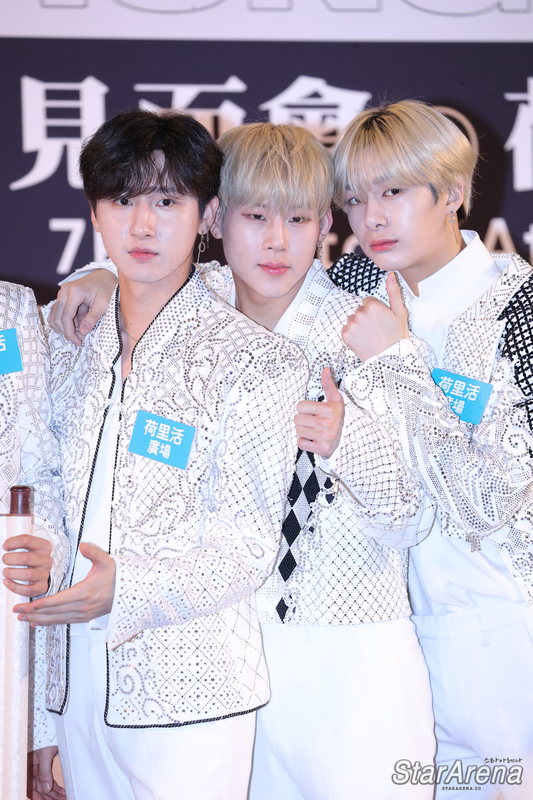 Singapore, 2018 – Despite the heavy rain, the boys of Monsta X was cheerful as ever as they greet their fans at the open press conference held at Plaza Singapura. The boys, who were in Singapore to perform at the HSBC Women’s World Championship, discussed their favorite tracks, desert island and many more at the press conference. Despite the heavy rain before the start of the press conference, it definitely did not deter the relentless fans from staying as they shivered in the cold waiting for the boys of Monsta X. The fans’ dedication definitely did not go to waste as Monsta X themselves acknowledge and relay their appreciation. This is not the first time members Jooheon and I.M were in Singapore as they came to Singapore to film the MV of their mixtape track “Be My Friend” in Singapore last year. They recounted that it rained the previous time they were in Singapore too. The two then hilariously re-enacted a scene from the MV to the delight of their fans. When asked which artist they would like to collaborate with in the future, the members agreed that they would love to work with American artist, Halsey, in the future. Even with their busy schedule, the members of Monsta X try to make time to do things they enjoy. During their free time, the members show their different personalities with different hobbies. Jooheon likes to shop whenever he’s free, Minhyuk likes to go bowling, while I.M and Wonho will focus their time on composing and writing music. Kihyun and Hyungwon shares their love of watching movies. Monsta X was then asked which member they would bring to a deserted island if they can only pick one person. Jooheon picked Shownu cause he is good at everything while Kihyun picked Jooheon due to his high energy. Shownu picked Kihyun because he can cook and clean well. I.M cleverly picked Minhyuk since he has been on the reality show “Laws of the Jungle” hence am able to make use of skills he learnt from his experience. Wonho hilariously picked Hyungwon as he is a very calm person. “He can calm me down when I panic”, he explained. Out of all the songs they had in their albums, the members all have different favorite tracks. Jooheon chose “From Zero”, the song that was released for Wonho’s birthday. Shownu picked “Beautiful”, Minhyuk “Trespass”, I.M and Kihyun both chose “Blue Moon”, Hyungwon picked “Broken Heart” and lastly, Wonho chose “Dramarama,” the song that won them their first No. 1 ranking on music shows. 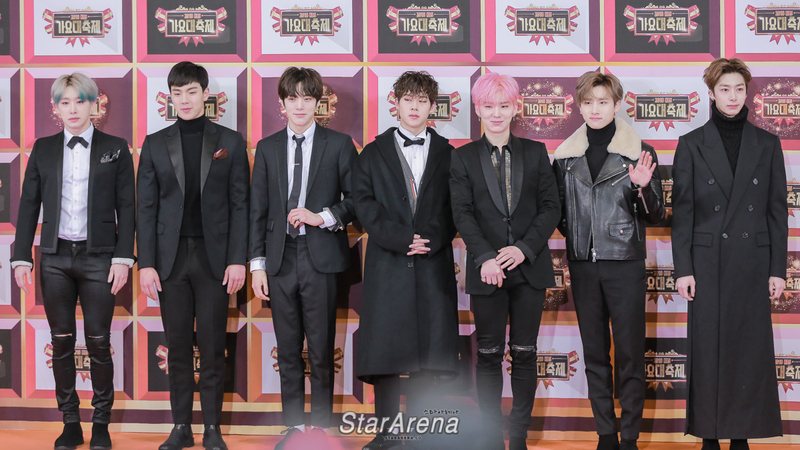 The group then wrapped up their press conference exclaiming that they wish to come back to Singapore soon, for their second world tour. They also tell their fans to look forward to their comeback which will be happening soon. I am sure the fans are definitely looking forward to that! 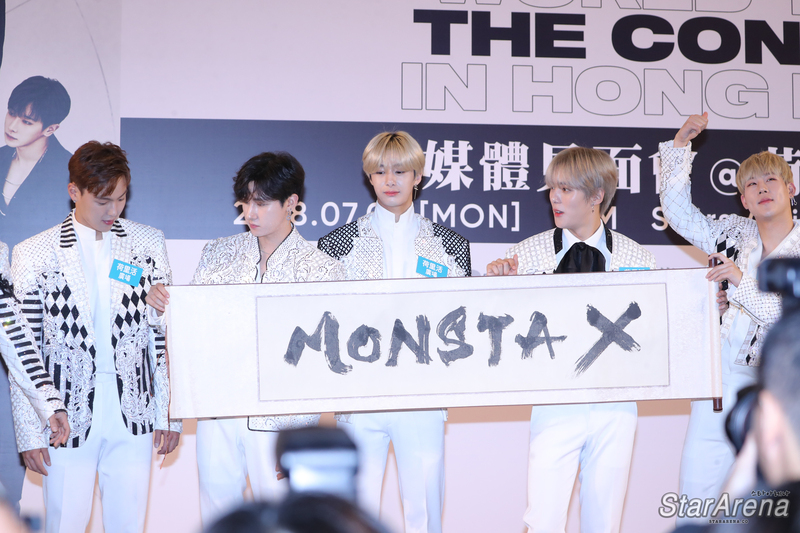 For more photos of Monsta X at the Press Conference, click here. Hong Kong, 2017 – GOT7, Monsta X, and Super Junior are confirmed to perform at the 2017 MAMA, announced by Asia’s leading content and media company CJ E&M Today.